Find a New Construction Home in Austin Today! If you're interested in buying a new construction home, the first two things you'll need to research are the design and location you want. Deciding how custom you want your property to be may be a determining factor on which builder you'll want to work with. Generally, homebuyers have a pretty clear idea of where they'd like to live, but it's also important to consider the community that will work best for your new home. For example, deciding between an infill lot or a master planned community has different advantages and disadvantages. If you choose to go with a master planned community the developer will typically include amenities such as pools and parks, however your lot size and home layout may be nonnegotiable. Work with a Berkshire Hathaway new construction expert to visit different builder model homes. Our experts have first-hand experience working with different builders and will know good opportunities and potential pitfalls that you might not otherwise spot. Do you have a specific type of new home in mind? Reach out today! Researching Austin new construction homes online is the best way to start your house hunt. Our website has been designed with the latest technologies available, making it easy for you to zero in on locations, builders, school districts you're interested in and more. Once you've narrowed your priorities and have a clear vision for what you'd like in your new construction home, it's time to team up with an experienced professional who can guide you through the process of buying a new home in Austin. At Berkshire Hathaway HomeService, our team will work with you to find you the resources and information you need. We can help you work through all the details of finding a lender and will know the right questions to ask. For example, you want to make sure that your lender has experience financing new construction homes. Advice on when to lock in your interest rates while waiting for your new home to be built, special financing programs and grants available for particular home builds, are what can save you thousands of dollars. Berkshire Hathaway HomeService has the knowledge and connections needed to help streamline this process and make it as easy as possible. 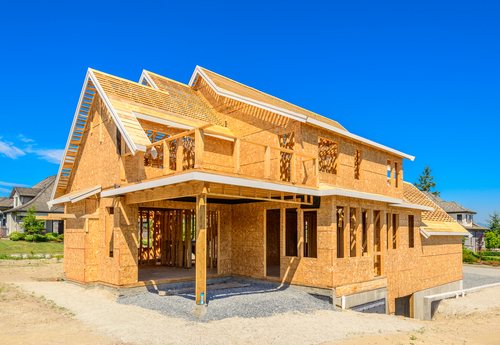 Once you have your financing lined up and know where you'd like to live, it's time to start designing your new construction home. Berkshire Hathaway has many strong partnerships with different builder sales agents. We will work on your behalf to help you choose the right builder to create the home that meets the needs of your family. This can be a crucial step that will help you go from finding a house that works to finding a long-term home for your family. This brief outline of how Berkshire Hathaway HomeService will guide you through the buying process of a new construction home will help you save money and time. If you have additional questions, want to know more about a development or want to connect with an expert today, call (512) 483-6000 or contact us online.